Writing this blog has bought some lovely opportunities but I was over the moon to be offered a chance to review Bluestone National Park Resort in West Wales. I spent many a childhood holiday in Wales and it's always a pleasure to come back! Bluestone has luxury accommodation set in 500 acres of Pembrokeshire countryside, year round activities for all ages and an amazing indoor waterpark. It's a 4 hour drive from where we live in Dorset but we decided to leave a day early and have a stopover in Swansea. This meant that it was a shorter car journey for Elliot plus we spent the afternoon catching up with my lovely family who we don't get to see enough! We woke up this morning to glorious sunshine but it was SOOO cold. 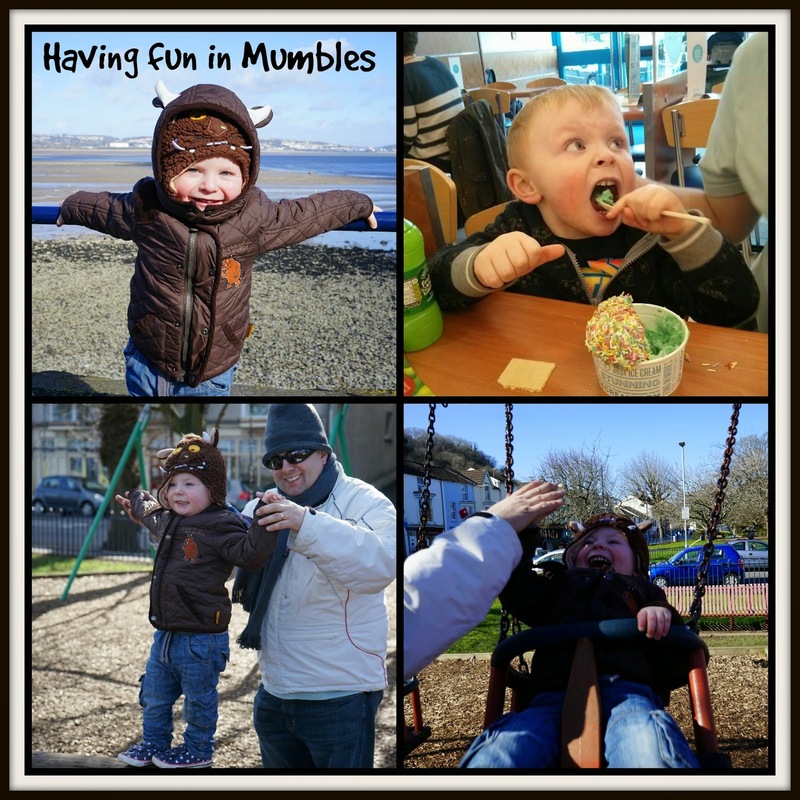 Before setting off for Bluestone we decided to visit Mumbles which is one of my favourite places in Wales. We had a bracing walk along the seafront rounded off with a visit to an ice-cream parlour to warm us up....er or not haha! Upon arriving at the resort, our first impression was just how tidy and well landscaped it was! 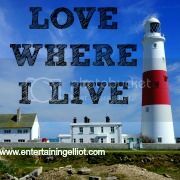 It was incredibly well maintained and gave us a really good impression of what the rest of the resort was like. Check in was brilliant! It was a drive through booth, and it took all of two minutes. Butlins could learn a thing or two from this! We were handed a map and some info booklets and off we went. When we got to our lodge we couldn't actually get in and our keycard didn't work but a quick call to Guest Services (who couldn't apologise enough!) and minutes later someone was with us with a new card. Great service! 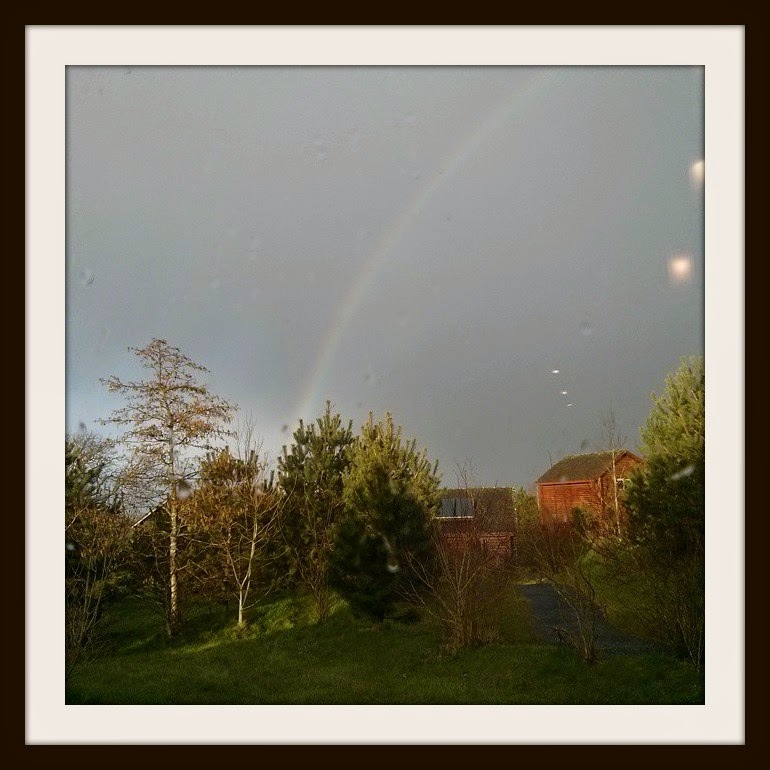 By this point the weather had turned decidedly dodgy and we had rain, sleet, snow, hail, sunshine and a rainbow all in the space of 5 minutes. We left hubby to unpack the car whilst Elliot and I explored our lodge. We are staying in Caldey Lodge and it sleeps 4, Elliot was mega excited to see two beds in his room! The lodge is lovely and spacious with an open plan kitchen/dining area/lounge. It also has a wet room which is going to be a novelty for Elliot! The kitchen is very well stocked with every utensil you could possibly need and even a dishwater too. Our lodge is spotless and ever so cosy and warm! Oh, and there's even underfloor heating in our wetroom - amazing! Bluestone have a no car policy on site so this means that when you arrive you can drop your stuff off outside your lodge and then move your car to the carpark by the entrance/exit. Bluestone is rather hilly so if you don't fancy walking then you can hire a golf buggy. We decided to hire one for the week and can't wait to explore on it! We decided to eat out as it's our first night so we jumped in the buggy and made our way down to the village - luckily it had stopped raining but brrrrr it was cold!! Bluestone has several different eateries on site but we chose to eat at the Farmhouse Grill. The menu offered plenty of choice but my husband and I both chose the Farmhouse Burger and I was quite excited to see they offered an upgrade to my favourite, sweet potato fries! Our mains also came with unlimited salad and bread, both of which were really tasty. 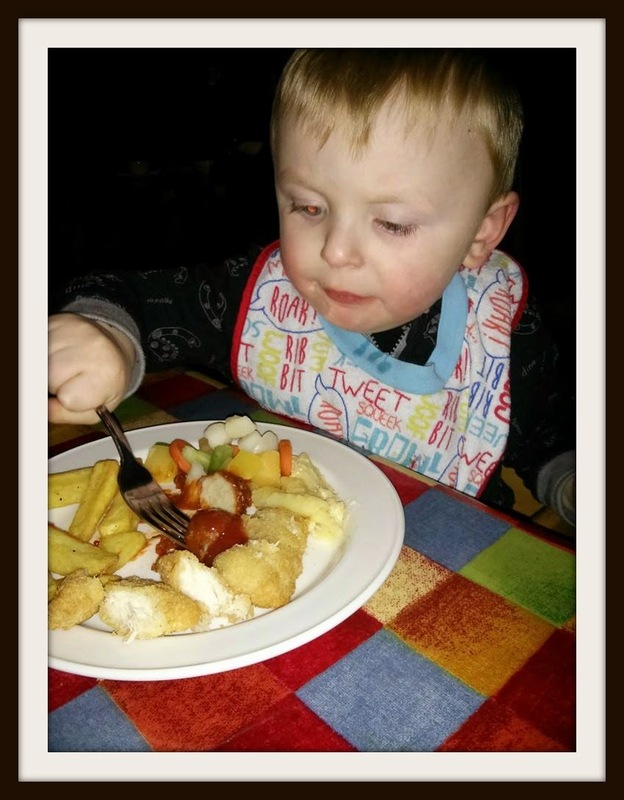 Elliot had the kids buffet which included a selection of pastas, meatballs, chips, veg, pizza and chicken nuggets. Everything looked fresh and there were no complaints from Elliot who demolished his dinner in record time! Our burgers were really good and we were completely full afterwards, not even any room for pudding! We didn't get the chance to explore much this evening, it's not much fun in the dark plus Elliot was ready for bed so we came on back to our warm lodge and we couldn't wait to get our pjs on. Day 2 looks a bit rainy so we are planning on visiting the Blue Lagoon waterpark. We'll also be exploring the rest of the resort and sheltering from showers!